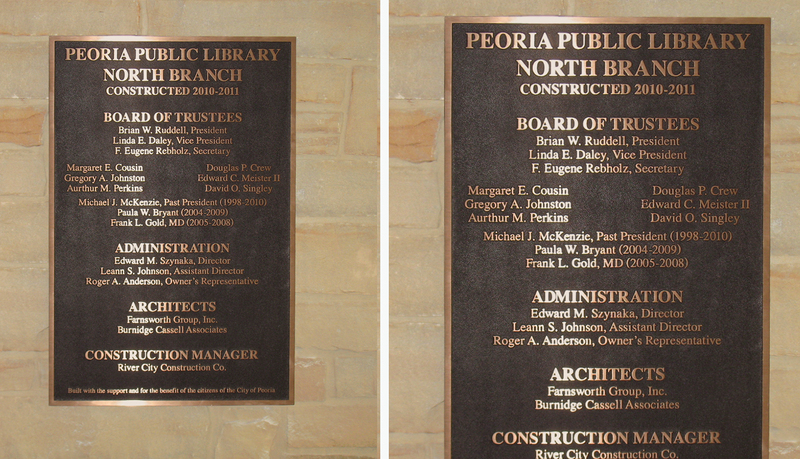 Peoria Public Library has served the historical, educational and literary needs for the community of Peoria, IL for more than a century. 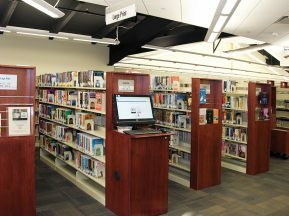 The library system, which consists of five locations, continues to make a positive impact on the lives of its residents by providing free access to education technology, works of art and reading and study groups. 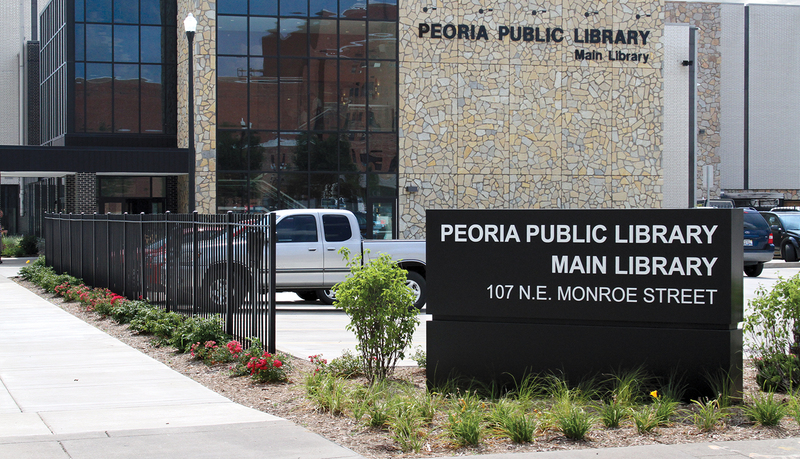 As part of an interior renovation project for the main and north branches, Peoria Public Library embarked upon a process of updating and upgrading its interior signage and wayfinding solution. 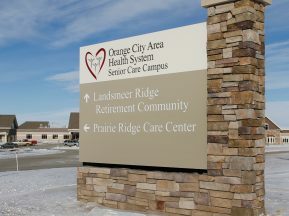 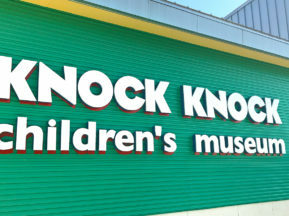 The objectives for the new signage solution included durability, being easy to update based on future changes, and that the signage would complement the architectural environment. 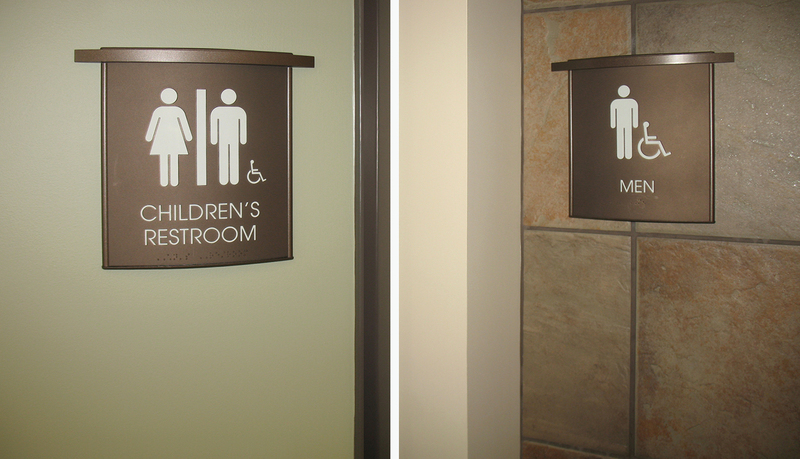 ASI chose Horizon, a clean, polished curved face interior signage system that is based on a single piece aluminum extrusion, for the primary interior signage solution. 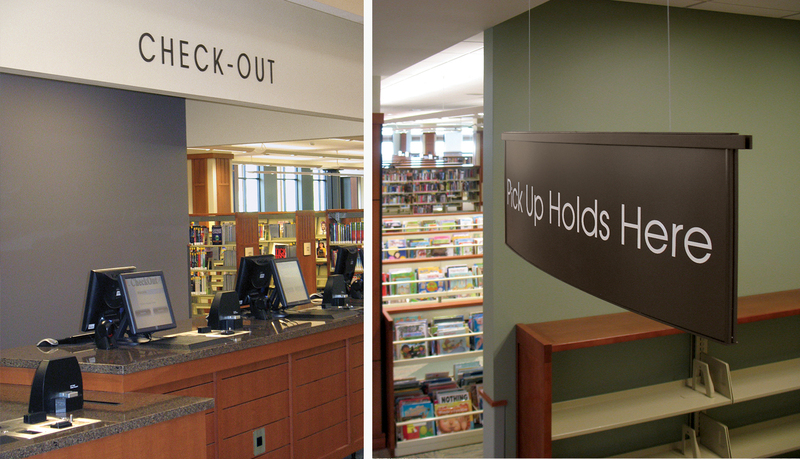 Because Horizon is based on a single piece of aluminum, ASI was able to powder-coat the sign to complement the interior design and color scheme of the library. 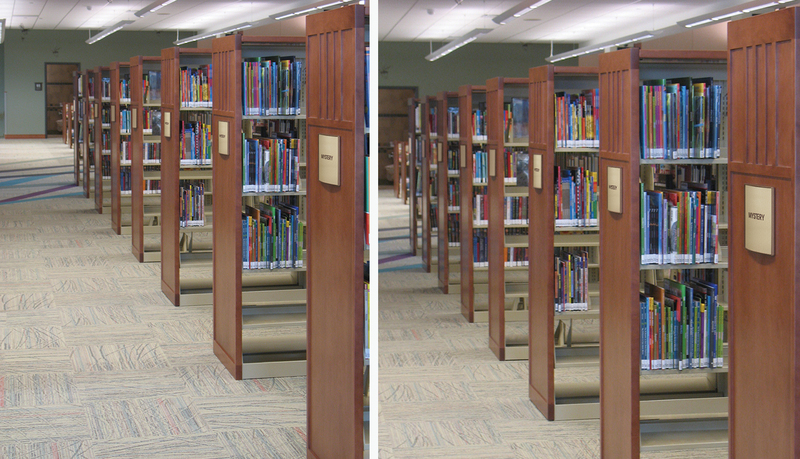 The finished Horizon signage solution includes updateable row identification signs, suspended signs to identify sections, and ADA-Ready™ room identity signs. 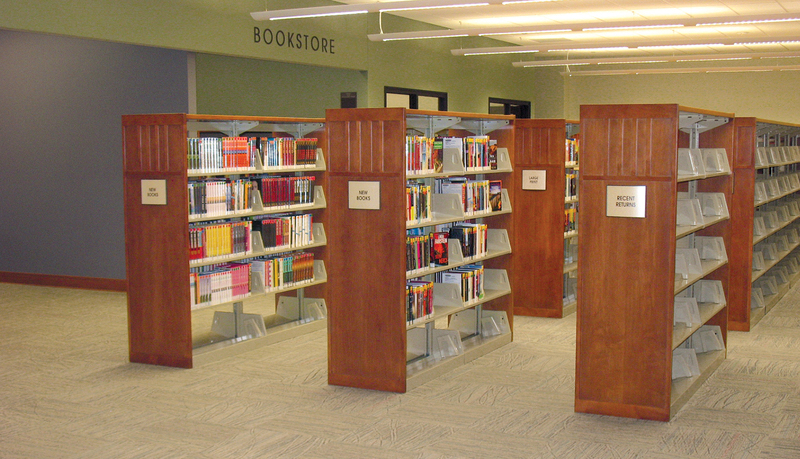 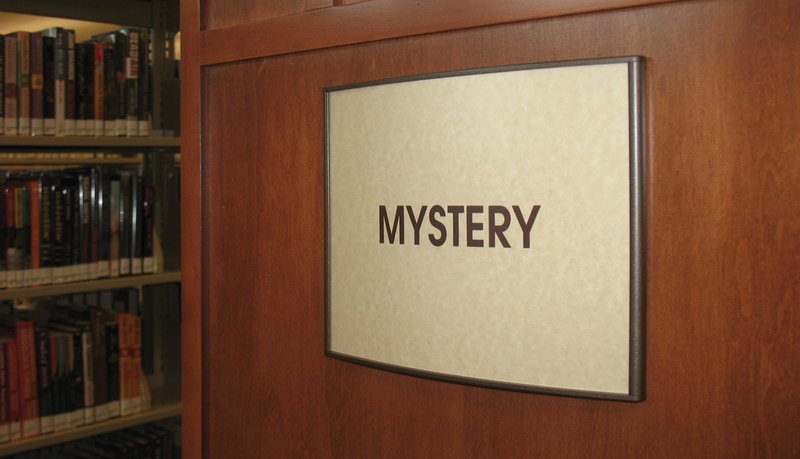 In addition to the interior signage, ASI also fabricated and installed a custom exterior identification sign and custom exterior letters for the main branch of the library.